A beautiful dreamcatcher to keep all of your best dreams safe! 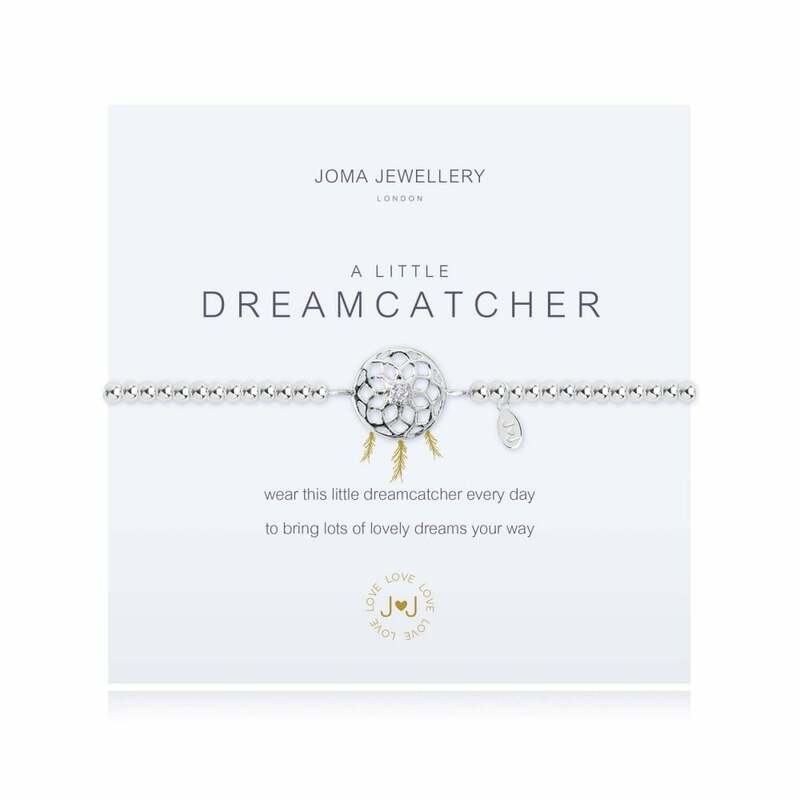 This Joma Jewellery bracelet is presented on a gift card that reads 'Wear this little dreamcatcher every day, to bring lots of lovely dreams your way'. Do you dream away the days with big ideas and plans. Then this beautiful Joma Jewellery A Little Dream Catcher Bracelet is perfect for you! The pretty pendant designed like a traditional dream catcher is made even more unique with its tiny crystal in the centre. You won't only be dreaming of plans, but you'll be dreaming of what to wear this bracelet with.